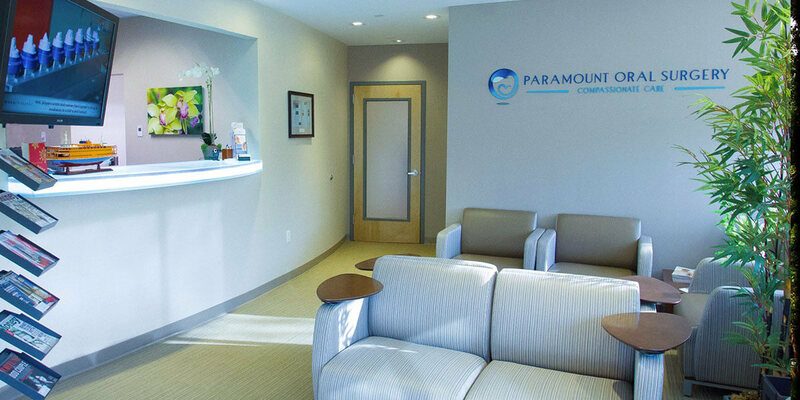 Paramount Oral Surgery was founded with a clear goal of building a practice with the patient’s well-being as the primary focus. Our staff consists of a dedicated team who live the practice’s mission statement daily – “placing the well-being of the patient first”. We are always excited to meet new patients and our goal is to make you feel as comfortable as possible. Please plan to arrive a few minutes early to allow time to complete the new patient paperwork, if you have not previously done so. If you would prefer to fill out our online forms prior to your visit, please click the button below. Your first visit is essentially the collection of data which will lead to a diagnosis and discussion with you about the findings. We will discuss the ideal treatment option(s) with a thorough discussion about benefits, risks and alternatives. We will also explain the procedures involved and the treatment sequence. Whether you require dental implants or wisdom teeth removal, you can be sure that our practiced oral surgeons and surgical assistants have the knowledge, equipment and state of the art facilities to get the job done. We feel that every patient is unique and we are committed to providing you with the highest quality care based on your individual needs. Above all else, we want to make your visit to our office a pleasant experience.